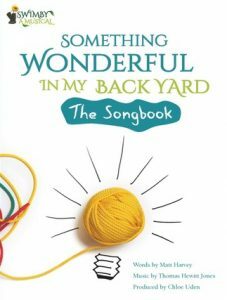 Please do share it with any choirs/groups etc who might like to make Something Wonderful in their Back Yard. There are also SoundCloud versions recorded by Billy Bottle and Martine Waltier – with Thomas on piano – to help if required. *this stands for free of charge (in case you felt a bit sworn at). I didn’t realise when I first saw it.